This rolls wherever you go! 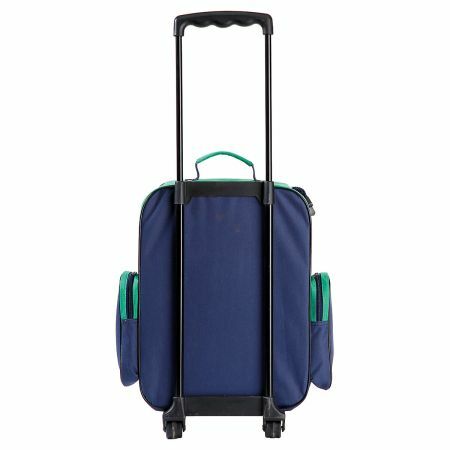 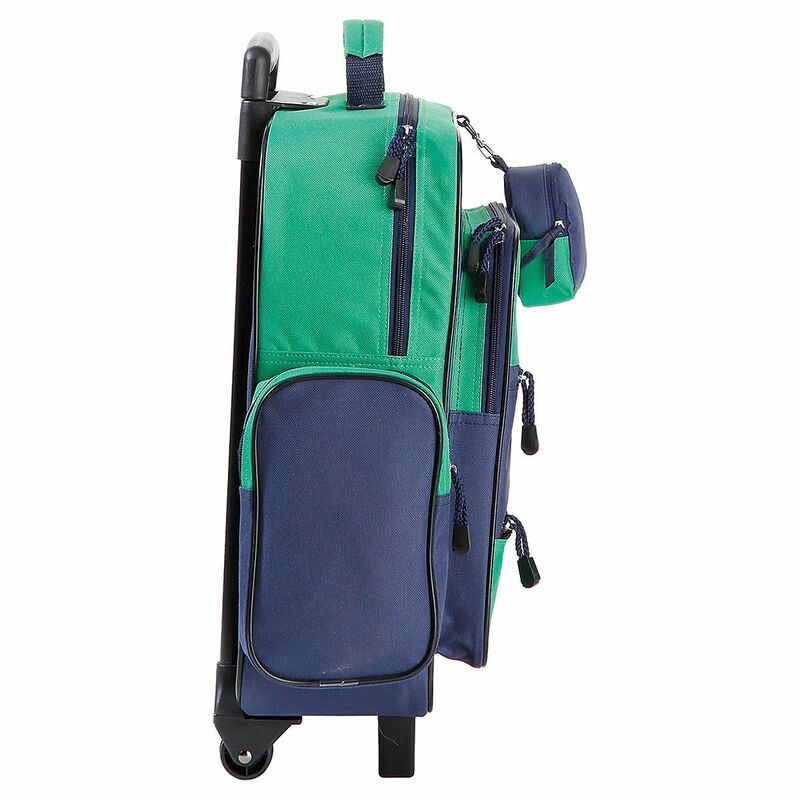 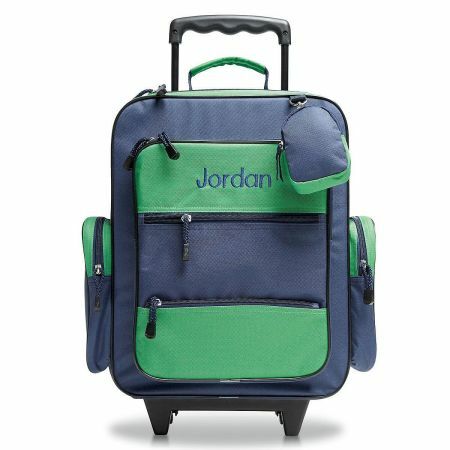 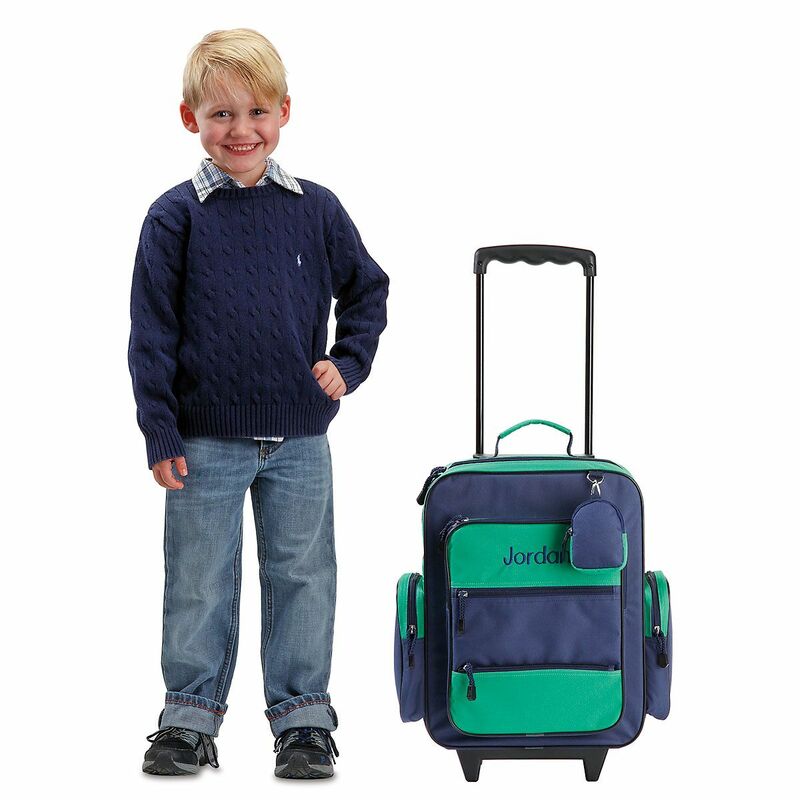 Ideal as a rolling backpack for school (or as a cool little travel bag) this handy kid's pull-along has a zipper opening across the top, making it easy to open quickly and store things inside. 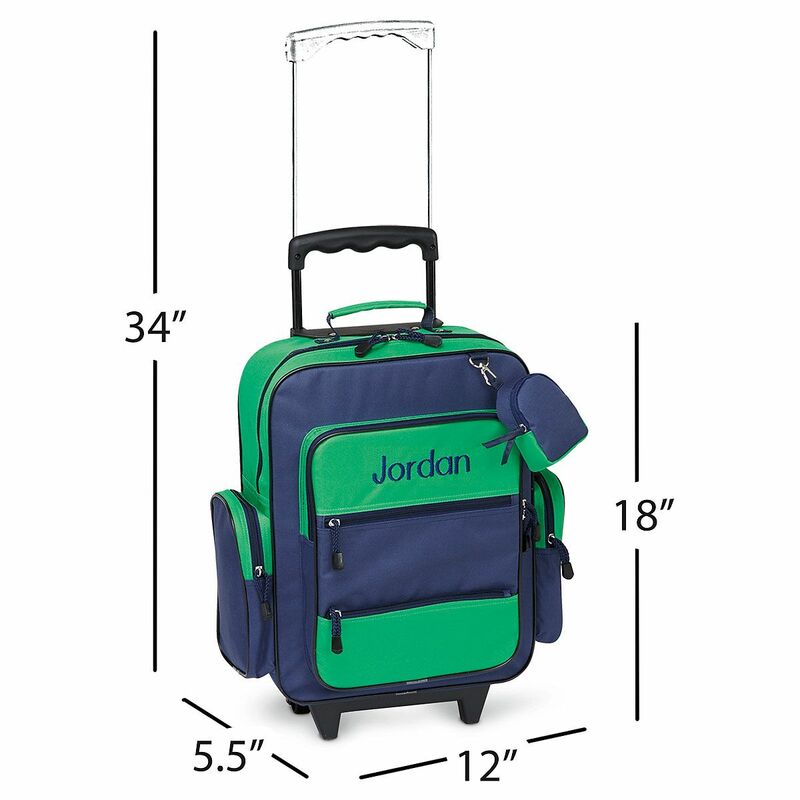 Designed with students in mind, our popular kids' bags roll smoothly along on two plastic wheels; made of rugged 600-denier poly with PVC backing and nylon zippers. 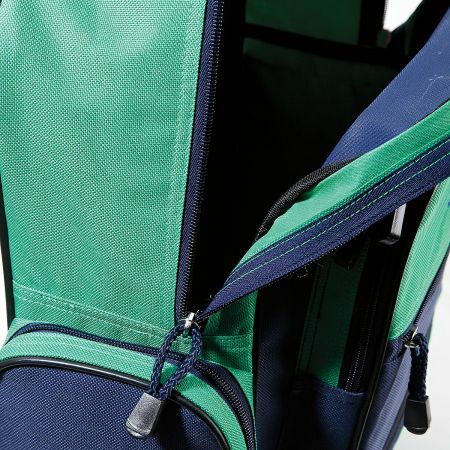 Gear stores in large main compartment, five outside zip pockets, and a clip-on pouch. 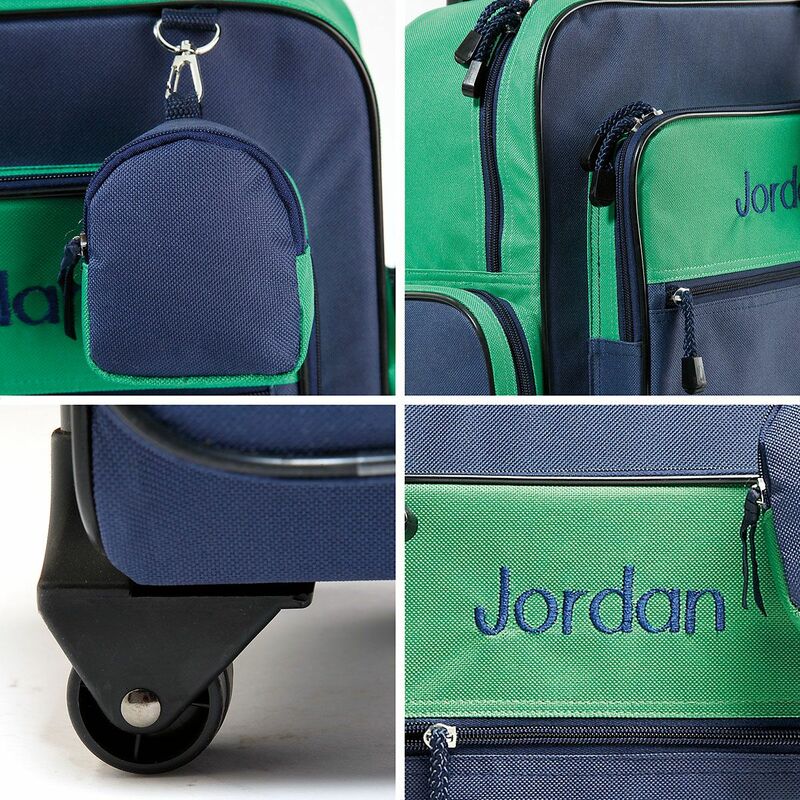 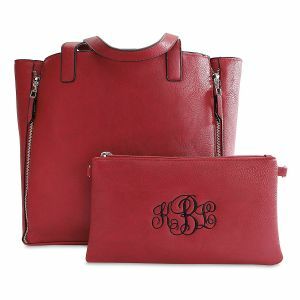 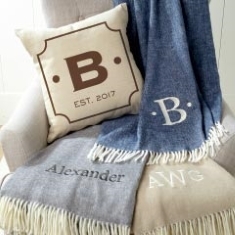 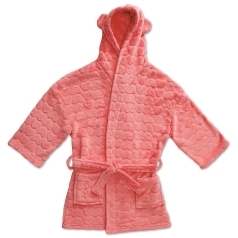 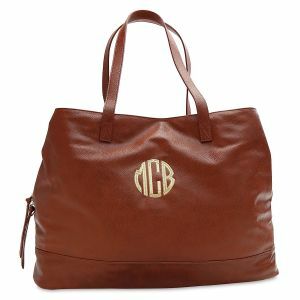 Comes personalized with custom embroidery; also available without personalization.